Increase your warehouse productivity using Omni Machine Tape to suit automatic carton sealing machines. Omni Products has developed a variety of premium machine tapes to suit a range of applications, surfaces and conditions. 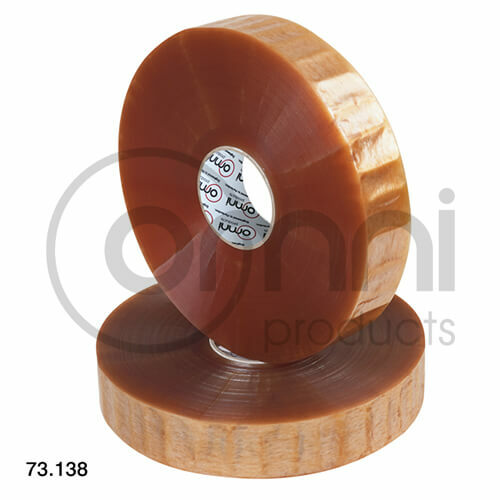 Machine Tape are available in 3 main adhesions types; Acrylic, Hot Melt and Natural Rubber Solvent. Omni Machine Tape is Engineered to Perfection. Rubber Solvent Packaging Tape: Packaging tape with a rubber solvent adhesive is the most aggressive of the range. It has an excellent fast bonding adhesion on a wide variety of surfaces and temperatures. Natural rubber packaging tape is the most premium aggressive adhesive and is the most common type of packaging type being good value high performing.